Today's inspiration comes with a life lesson. People always say that everything we truly need to get something in life is to really want it, the rest will fall together. 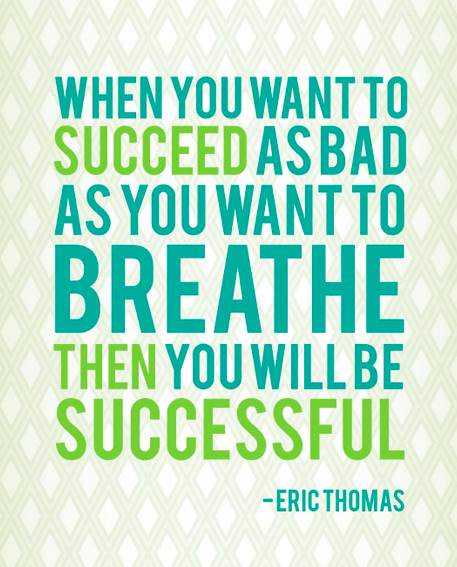 As one of the most renown speakers, Eric Thomas agrees. Although his message relates to success in life, I believe it can be applied to anything really. Wanting is key. When we want, we gain the motivation necessary to achieve everything, and as long as we want to, we'll never stop fighting. So my advice is to live, at least for today, with Thomas' message at hand. & thanks to Daily Positive Quotes for yet another inspiration.